Toddlers age 2 to 5 now can experience safely the thrill of a spiral slide made specifically for their age, play ability and needs. BCI Burke's spiral slide is among the only 48-inch height options, making it effective for use with 40-inch or 48-inch deck heights. 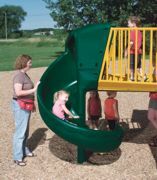 Burke's new slide has double-wall plastic that ensures optimum durability. Even the youngest sliders are safe with the deep slide bed and molded handgrips at the entrance. The slide is available for the Little Buddies and Series 3000 play systems in six vibrant UV15 colors and includes a 15-year limited warranty on plastics. Balazs Inc. takes boxing workouts to a new level with the new i-Box Speed Bag Platform (SBP), the company's high-performance offering designed specifically for gyms on a budget. In addition to the reduced price point, the i-Box SBP offers consumers three finished color choices—Contender yellow, Knockout red and Champion black—allowing them to match their purchase to their personal style. Designed with the same superior quality as Balazs' professional products, the i-Box SBP sports a super-stiff V-frame bracket constructed from 11-gauge steel tubing and a 1-1/2-inch-thick wood drum for solid rebounding action and a high-performance workout. NorthEast Aquatic Design offers the new patented stainless-steel modular spray deck called Spray ‘N Play. Its innovative streamlined design makes it superior from delivery to installation in less than 30 days and assembly in less than 10 days. The modular pieces are much safer than much conventional construction, yet versatile in design, expandability and portability. Modular pieces are easily changeable and can be serviced and winterized with very little effort. It can be customized with choice of colors and textures and modified anytime. Its shape and size, whether increasing or decreasing, can be changed easily as well. The Mini Links Jr. is a low-price portable miniature golf course, the newest addition to the product line of modular miniature golf courses and putting greens distributed by Adventure Golf Services. It is a compact version of the Mini Links course and can be installed in 1,400 to 1,600 square feet. The holes vary in length from 12 feet to 16 feet and have a variety of playing shapes. Each hole is assembled using compression molded plastic panels made from 100 percent recycled materials. It's assembled with interlocking panels, which overlap from the top and bottom and bolt together. The Yogacise Bench is an innovative new product used for both yoga poses and strength training. 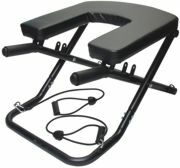 Its design offers exercisers the choice of performing headstands and seated relaxation positions for yoga, or the chair serves as a weight bench for upper-body weight strength work: triceps dips and pushups. With the included two adjustable resistance tubes and illustrated manual, seated bench press, arm curls, shoulder raises and more can add a variety of training options for studios and wellness centers. The unit is lightweight and folds for easy storage. M. Kaser & Associates is an award-winning turnkey design and build service group. 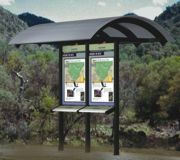 It specializes in interpretive, graphic and display design for museums, visitor centers, corporations and amusement facilities. Since 1992, the company has been working with owners, operators, architects and planners. M. Kaser & Associates tailors its services to meet your objectives. Spikes Needle Strips are designed to keep pest birds from their usual roosting places: rooftops, ledges, sills, building projections, trusses and beams, balconies, tree branches, airport directional signs, boats and boat docks, electrical lines, air conditioners, public transit stations, garages, and other such locations. Because infesting pest birds create many problems—namely, dangerous, unsightly and unhealthy conditions, plus money spent for repairs and cleaning—Spikes can help. They are made from 100 percent post-industrial scrap plastic, providing a high-quality product for a significantly lower cost than their prime virgin counterparts. The material is durable, weather- and UV-resistant, and unobtrusive. Made from recycled rubber tires and PVC, Safety Deck II tiles can be installed to create safe, natural playgrounds and recreational sport surfaces. The 20-by-20 hollow tiles are easily laid together like a jigsaw puzzle to protect and aerate the root systems as thick grass grows through it. Plus, no digging or trenching means lower labor costs. Safety Deck II complies with ASTM and CPSC guidelines with a critical fall height of 12 feet. 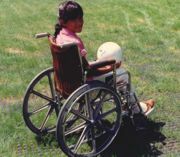 It provides a natural, non-barrier grass access to meet the requirements of the ADA guidelines for wheelchairs.